Champagne, which is produced exclusively within the Champagne region of France, is with out a doubt my personal favorite when it comes to alcoholic beverages. The taste, the smell, the perky bubbles, all of it, just makes my mouth explode in sincere happiness. Champagne first got world renown because of its association with the anointment of French kings. 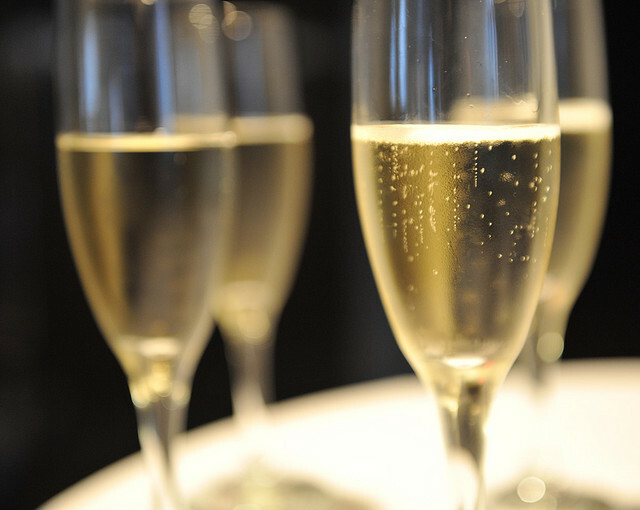 The primary grapes used in the production of Champagne are Pinot Noir, Chardonnay and Pinot Meunier. According to the appellation law, the grapes are only allowed to grow in specifically designated plots within the appellation in order to be used in the production of Champagne. Contrary to legend and popular belief, Dom Perignon did not invent sparkling wine. The oldest recorded sparkling wine is Blanquette de Limoux, which was apparently invented by Benedictine Monks in the Abbey of Saint Hilaire near Carcassonne in 1531. Although Dom Perignon did not invent Champagne, he did develop many advances in production of the drink, including holding the cork in place with a wire collar (muselet) to withstand the fermentation pressure. The prestigious Femme de Champagne is a product of the Chardonnay Grand Crus of Mont-Aigu from Chouilly, Chapelle of Avize, Terre de Noël from Oger, and Chetillon and Aillerand from Mesnil sur Oger. The Chardonnay grapes are vinified separately in oak barrels to highlight the elegance and vitality, while a touch of Pinot Noir imparts roundness and character. Its yellow gold colour carries fine strands of bubbles which reveals complex notes of a lively maturity: brioche, vanilla and wood aromas alternating with citrus fruits such as lemon and mandarin. After the fine initial burst of flavours in your mouth there comes a silky touch with remarkable length on the palate. The Brut Rosé plays on theme of harmony and seduction in a modern context, solid maturity and very balanced. The bubbles are made of extremely fine pearls and the salmon colour is created from Chardonnay and Pinot Noir. Its aromatic bouquet consists of wild cherries, figs, a hint of ginger and geranium. It’s the best that’s offered to wine lovers and fans of fine rosés. 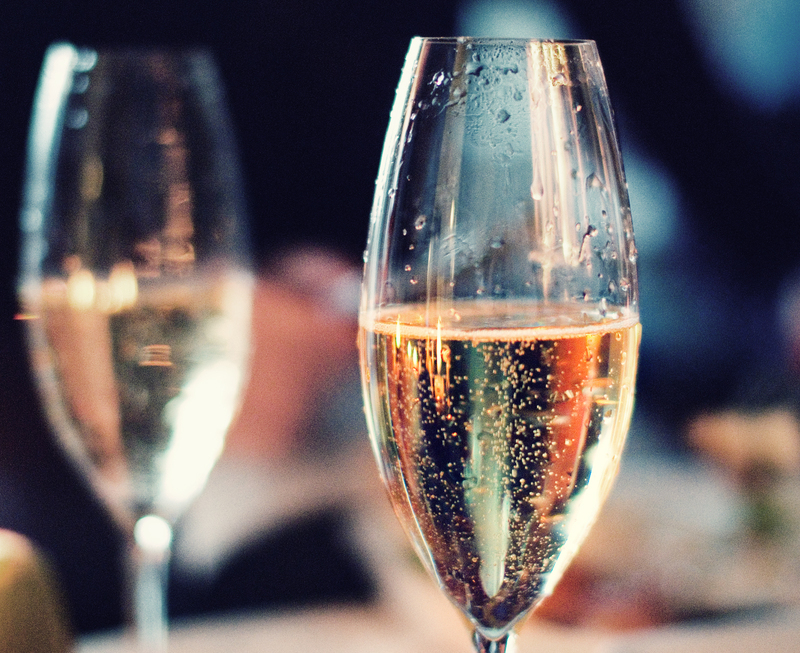 Since 1829 Bollinger has served us with the most exquisite bubbles that makes your mouth feel extremely happy. When making the Special Cuvée, a number of different grapes throughout the year are being used together with crus. This blend makes subtle variations each year whilst still remaining true to the consistent style. For this reason it is the most difficult Bollinger to make. They are only using old oak barrels, minimum of five years, to prevent tannins affecting the wine. The champagne is being stored to yeast for three years, much longer than the standard length for champagne which is 18 months. It has a very rich and mature aroma, and a dry rich bouquet. Taittinger is in fact the third oldest Champagne house in the world, with origin traced back to 1734. The Taittinger has elegance with a creamy richness. Taittinger Nocturne is a great champagne made of 40% Chardonnay grapes and 60% Pinot Noir and Pinot Meunier grapes. It is pale yellow in colour and the bubbles form a delicate necklace of mousse. Its nose is subtle and fresh, and its finish is long and mellow and distinguished by a very pleasant, full-flavoured sweetness. Brut Rose has an attractive, pure color with a salmon tint. It gives off aromas of flower and fruit much like those of Black label, but without the touch of red berries. In the mouth, Brut Rose displays harmony and balance between roundness and freshness.